​Auckland, 14 September 2013 - At a time when the University of Auckland’s redevelopment of the former Lion Breweries site in Newmarket is actively underway, with the prospect of thousands of people flocking to the area upon completion, a nearby, high profile and fully-leased office building has come up for sale at 210 Khyber Pass Road, Auckland. Marketed on behalf of 210 KPR Limited by Jonathan Ogg and Warren Hutt of CBRE, the five-level freehold property is for sale by Deadline Private Treaty closing at 4pm on 25 September 2013, unless sold prior. “210 Khyber Pass Road is very well positioned for future growth and development,” says Jonathan Ogg. “It has been upgraded, is seismically-strong and is a well-presented building with a full complement of quality tenants with a good weighted average lease term. This will attract prudent investors seeking a strong passive hold. “Anchored by international heavy hitter, Zimmer, this property presents a strong cashflow profile with alternative future use options, as the area continues to go through considerable evolution and growth with the redevelopment of the Lion site and a number of nearby office buildings being transformed into residential apartments. 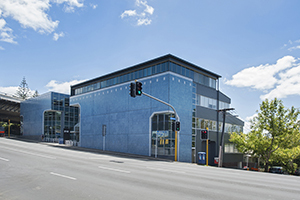 Occupying a 1,555sq m strategic site with three street frontages to Khyber Pass Road, Parkfield Terrace and Claremont Street, the five-level property was built in the 1980s. Divided into several tenancies around a common, central access core, the building offers a total of 3,043sq m of lettable space, with parking provided across two basement levels, able to accommodate 52 cars. Warren Hutt says that over the past two years the owners have undertaken a significant upgrade of the building including all common areas, bathrooms, lift, lobbies and all tenancy areas. “Recent renovation and refurbishment to the tenancies included new carpets, new suspended ceilings together with upgraded air conditioning and fire protection services. Additionally, common area bathrooms, corridors and stairwells have been recently refurbished to a modern standard. The property, which is occupied by five tenants who provide a combined net rental of approximately $720,267 per annum plus GST, has a weighted average lease term to expiry (WALT) of 5 years based on net operating income. Medical supplier company Zimmer New Zealand Limited occupies 1,391.21sq m of the available rentable space, which equates to 46% of the total property. A tenant in the building since 2004, Zimmer is the New Zealand subsidiary of New York Stock Exchange-listed Zimmer (NYSE: ZMH). With a market capitalisation of US$13.4 billion, Zimmer provides high quality orthopaedic products and has in recent times more than doubled its sales and customer service teams to manage increasing demand. Taxicharge, New Zealand’s only specialist nationwide taxi billing solution for taxi travel, occupies 441.91sq m on level 4. Taxicharge provides taxi billing solutions to business and individuals by managing their taxi spend via a dedicated taxi card or voucher based system. Taxicharge has been a tenant in the building since 2004 and committed to a new six year lease commencing 2010 incorporating the majority of Unit E of level 4 and 10 carparks. The Knowledge Warehouse Unit Trust occupies 469.36sq m on level 5. The Knowledge Warehouse Unit Trust is part of an associated group of companies, headquartered in Melbourne Australia, which offers an extensive range of data collection solutions. These services include consumer research, recruitment and focus groups. The New Zealand operations have been recently expanded to include a 100-seat Computer Aided Telephone Interviewing (CATI) facility. Country Wide Monitoring Services Limited occupies 260.54sq m, also on level 4. A tenant in the building since 2008 Country Wide Monitoring Services provides security monitoring services to small to medium-sized enterprises throughout the greater Auckland region. Auckland PHO Limited is a Primary Health Organisation (PHO) funded by the Government, occupying 349.04sq m on level 3. Operating within Auckland City, Auckland PHO is one of the five PHOs that form part of the Auckland District Health Board. Auckland PHO funds and co-ordinates services, provides resources and expertise for practices and delivers primary healthcare services to some 55,000 enrolled patients. It acts as a conduit between the Auckland District Health Board and its patients. Murchison Group Property Management Limited, a successful boutique commercial property management and consultancy company, occupies 130.74sq m, also on level 4. As the property managers of 210 Khyber Pass Road, Murchison Group has played a major part in the transformation of this property and would welcome the opportunity to continue in this role. The property sits in a high profile location on Khyber Pass Road, bounded by Parkfield Terrace and Claremont Street. This situation affords the property a prominent position within a traditional office location, as well as excellent exposure and profile to passing traffic flows. In close proximity to the popular Newmarket shopping precinct, the property is equally close to Auckland Hospital (Grafton) and the Auckland Domain, which is approximately 500 metres away, providing occupants with a high degree of amenity. The property enjoys quick access to the southern motorway, with the on ramp situated directly opposite on Khyber Pass Road and with the Grafton Train Station being located only around 80 metres from the property, this is also a convenient location for rail commuters. The area is set to improve further as The University of Auckland’s Newmarket Campus is developed over the medium-to-longer term. The CBD is located only 5 minutes away via either the motorway or Grafton Road via Claremont Street. Warren Hutt says that this established and well-recognised commercial location, which enjoys excellent exposure to high volumes of traffic and good surrounding amenity, is also becoming an attractive place to convert office buildings into residential apartments. Under the operative District Plan, the property is zoned Mixed-Use, which has an emphasis towards retail, residential and commercial activity to provide for a diverse mixed use environment. With an objective to ‘allow for the development of vibrant urban areas by enabling a diverse and compatible mix of residential, business, educational and leisure activities in areas of the city, close to the CBD or existing centres, which have easy access to public transport’, this property will benefit from the 5.2-hectare former Lion Brewery site redevelopment, according to Jonathan Ogg. New Zealand's biggest tertiary organisation’s purchase of the site was completed in May this year. The acquisition is part of a long-term strategy that aims to create a mixed use campus, with purpose-built teaching and research facilities, student accommodation, business development and other facilities. Eventually, the university proposes to consolidate its activities at the City, Grafton and Newmarket campuses, claiming that the number of people living, or commuting into, Newmarket will at least double over time. Vacancy rates in the city fringe increased consistently during the economic slowdown over 2009-2011, reaching a cyclical peak of 16% in June 2011. 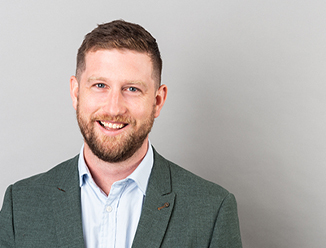 Since then, Warren Hutt says that there has been increasing demand for well-located well-presented fringe office stock, as tenants seek to take flight to quality premises and take advantage of cost-savings. This has seen a firm decline in the vacancy rate, which reached a 5-year low of 9.7% in June 2013. “This current level has not been observed since the end of 2009 and is reflective of the strengthening suburban office market,” Hutt says. He adds that consistent with this vacancy situation, net effective rentals softened in the city fringe from late-2008 to mid-2011. “More recent demand for city fringe office accommodation has seen net rental levels increase and we now estimate these to sit at just under $230 per sq m on average across all building grades. Net effective rents are forecast to increase going forward, in line with the broader overall economic recovery.